Capsular contracture is a complication after breast implant surgery. The natural defenses of your body form scar tissue around foreign structures in your body to prevent them from harming you. That's why a wall of scar tissue can grow around implants, making your breast feel hard and immovable over time. Capsular contracture refers not only to the scar tissue encapsulating the breast implant, but also to the shrinking of the scar tissue as it tightens around the implant. Capsular contracture doesn't occur in all women who have had breast implant surgery. It's possible that contamination inside the pocket where the implant is located may stimulate inflammation and the growth of scar tissue to wall off the contaminated material, according to an article on capsular contracture in the January 2009 journal "Clinics in Plastic Surgery." Another possibility is the presence of blood in the pocket around the implant, which also can stimulate inflammation and the growth of scar tissue. 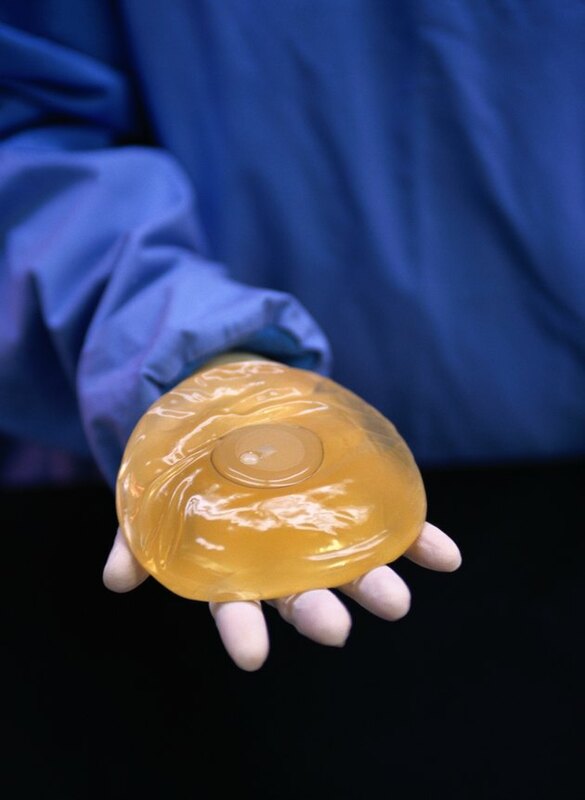 Surgeons take extra care to prevent contamination of the breast implant and to prevent excessive bleeding. They also recommend that their patients massage their breasts after surgery to prevent scar tissue from forming. For instance, surgeons Loren Eskenazi and Karen Horton recommend that patients start massage as soon as sutures are removed. The implant is strong, and you can't break it even with firm massage. To keep a scar capsule from forming, move your breast implant around in the surgical pocket that was incised under your breast muscle tissue. Push it up and down as far as possible in the pocket, and push it from side to side. Squeezing the implant with your fingers horizontally and vertically helps to prevent scar tissue from compressing the contents of your implant, which is what makes your breast feel hard. Cross-fiber friction -- squeezing and rubbing across ropy scar tissue -- can help release adhesions in breast tissue. Therapeutic massage can help prevent and treat capsular contraction. You can self-treat or a massage therapist can give the massage, using firm pressure to stretch tissues around the implant and to move the implant in its pocket. However, in many locations in the United States, local laws prohibit breast massage, so if a therapist administers this kind of massage, she can lose her massage license. The solution is to receive breast massage in a medical office under a doctor's supervision or to learn to self-treat. What Causes Bleeding From the Breast?